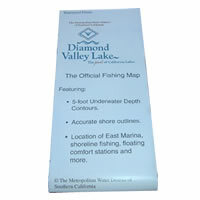 The Official Metropolitan Water District Fishing Map of Diamond Valley Lake. "New" Mixed flavored JUMBO EGGS that compliment our existing JUMBO shrimp Flavored Salmon eggs. Both Proven to catch fish even when other baits won't work! 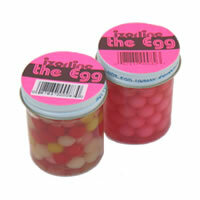 These firm eggs stay on your hook longer and are simply irresistible to Trout!!! "THE EGG" comes in a generous 2-oz glass jar.